For many people, especially those with severe hearing loss or complex hearing needs, hearing aids alone are not enough to hear well in their everyday environments. Assistive listening devices are devices designed to help with a specific hearing problem or listening environment. They may be a device for hearing on the phone, watching TV, hearing in meetings or hearing smoke alarms or baby monitors. Many can be used with or without hearing aids. If you have specific areas you are struggling to hear well in then chat to your audiologist about what options may be available to help you. Here are some examples of assistive listening devices available to help people manage day to day listening needs more easily. There are a large range of TV transmitters available and suitable for use either with or without hearing aids/cochlear implants. 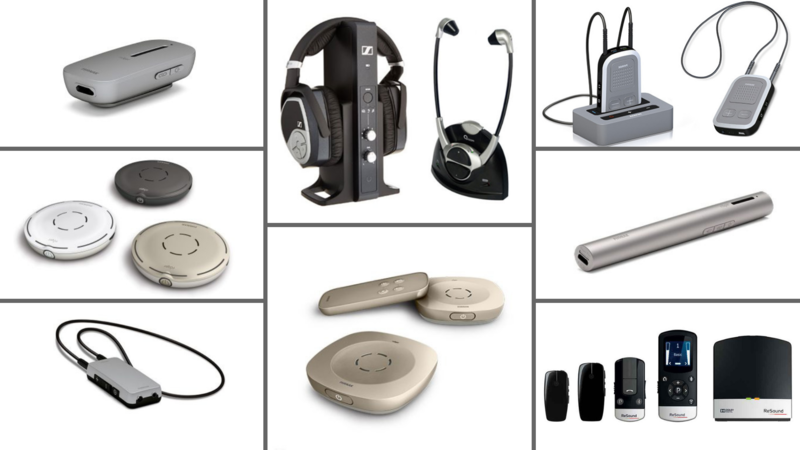 If you already wear hearing aids then many of these devices are extremely streamlined and discrete, allowing you to connect wireless or via bluetooth to improve your TV listening. These devices can also be used for radios, computers or other audio equipment and are helpful for a range of people. If you have trouble hearing the TV but are not yet ready for hearing aids there are TV transmitters suitable that don’t require a hearing aid to function. These can also be useful for people who like to watch TV without disturbing their partner. FM systems work by transmitting sound from an external microphone (either worn by a speaker or held/placed on a table) and transmitting that signal directly to a hearing aid/cochlear implant, or in some cases a wireless earpiece where a hearing aid isn’t needed. When used properly they can improve listening in noise dramatically and are a great option for people who struggle in group or noisy environments. FM’s can also be useful for children in a classroom environment if they struggle to follow the teachers voice, have difficulties with attention or have been diagnosed with auditory processing difficulties. You can read more about FM’s on Phonak’s website here. 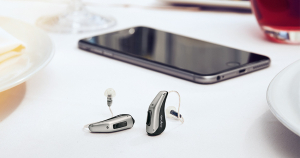 Many hearing aids now offer Bluetooth connection directly between your phone and hearing aid. If you device doesn’t offer this feature then there are likely to be alternative devices that can allow this. 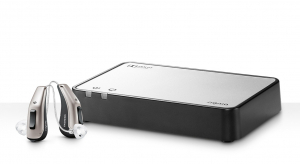 There are also direct input devices such as a MusicLink which work via the telecoil and is an alternative to ear buds for people who wear hearing aids. If you have specific listening environments where you would like to hear better, discuss them with your audiologist who will be able to offer advice on what options may be suitable for you.